Summer is drawing to a close in the northern hemisphere. Days are getting shorter. Nights are getting cooler. Fall flowers are beginning to bloom. And bicycles are getting more flat tires. 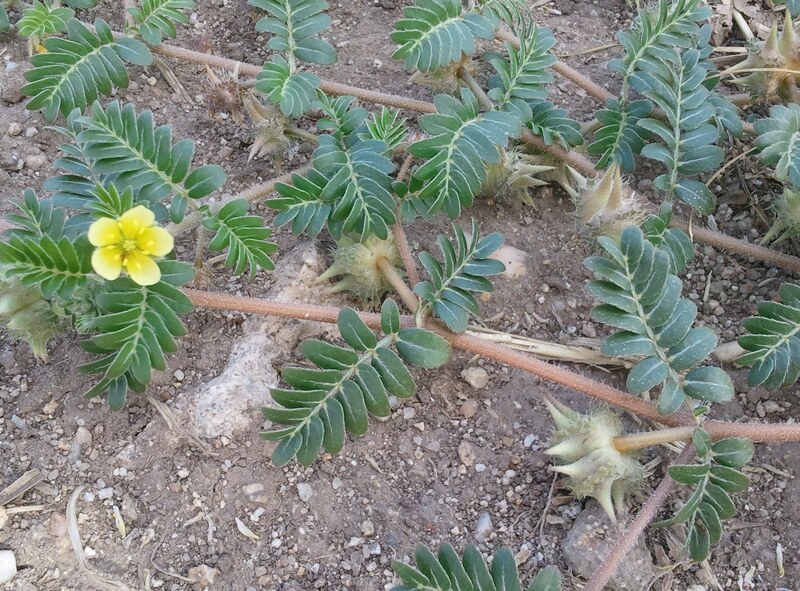 As an avid bicyclist, I am particularly aware of the waning summer season, especially since I live in a region where Tribulus terrestris is a prevalent weed. Commonly known as puncturevine or goathead, this nuisance plant is the bane of many cyclists’ existence. While the plant itself appears innocent, its fruit is quite the opposite. 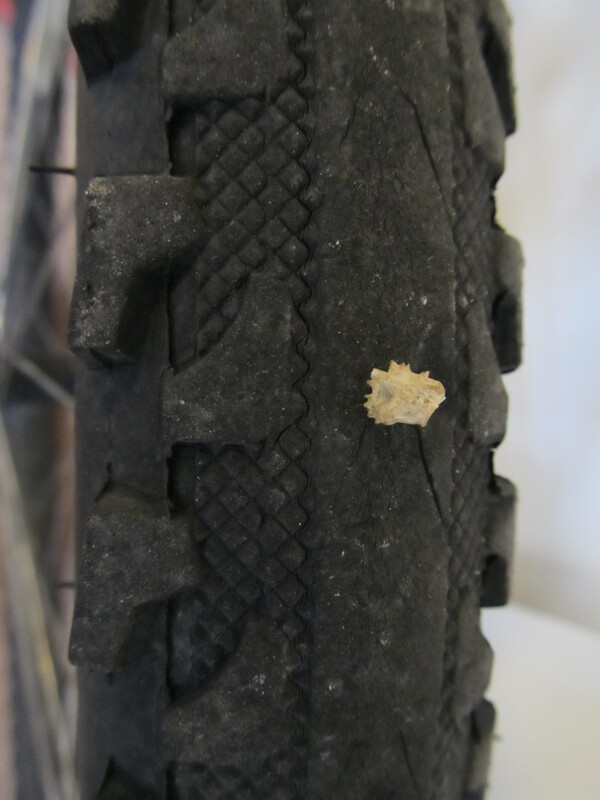 Rough around the edges and bearing large, rigid spines, puncturevine fruits easily penetrate bike tires, causing flats. They can also result in an uncomfortable experience for the bare-footed. Native to the Mediterranean region, puncturevine made its way to North America sometime during the European immigration and has since spread across the continent. The fruit of puncturevine is called a bur. Plants with this type of fruit are benefited in two main ways: herbivory deterrent and seed dispersal. The spinyness of the burs deters insects and animals from eating their seeds, and the spines of the burs attach to the feet and fur of animals, etc., aiding in the dispersal of their seeds. 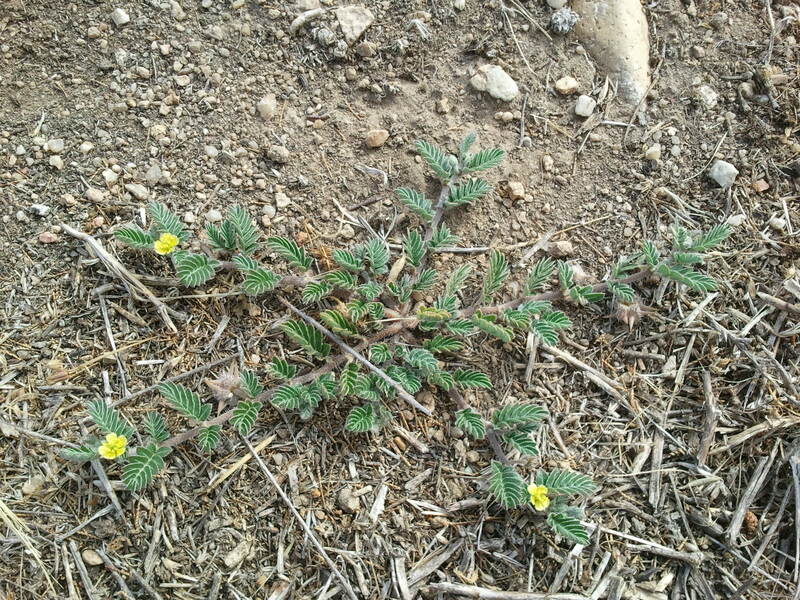 In cool climates, puncturevine is a summer annual. It appears in the heat of the summer, and by late summer the plants have mostly died off, leaving behind hordes of burs, awaiting the arrival of unsuspecting animals, bike tires, and otherwise. The spines of the burs attach themselves to these unsuspecting vicitims and are spread far and wide. The plants typically grow prostrate but can grow upright when they are in shade or being crowded out. They produce large mats that can spread as wide as 6 feet. Their leaves are oppositely oriented and are pinnately compound. Their flowers are small with five bright yellow petals that appear singularly in the axils of leaves. 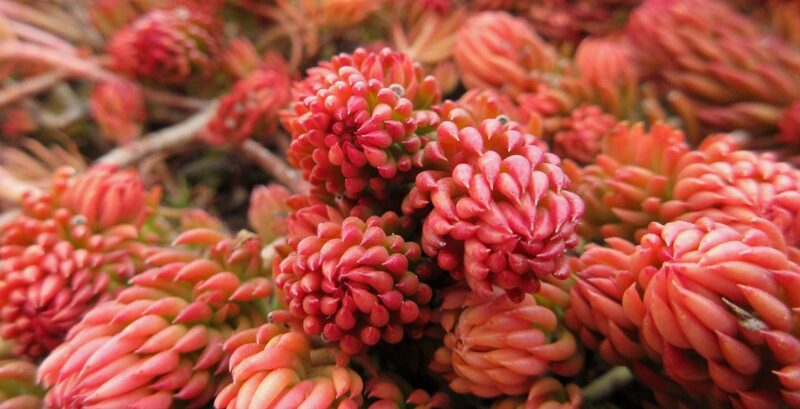 Their fruits are burs that split into 4-5 sections, each containing 1-2 large spines. Their seeds can remain viable for up to 20 years. 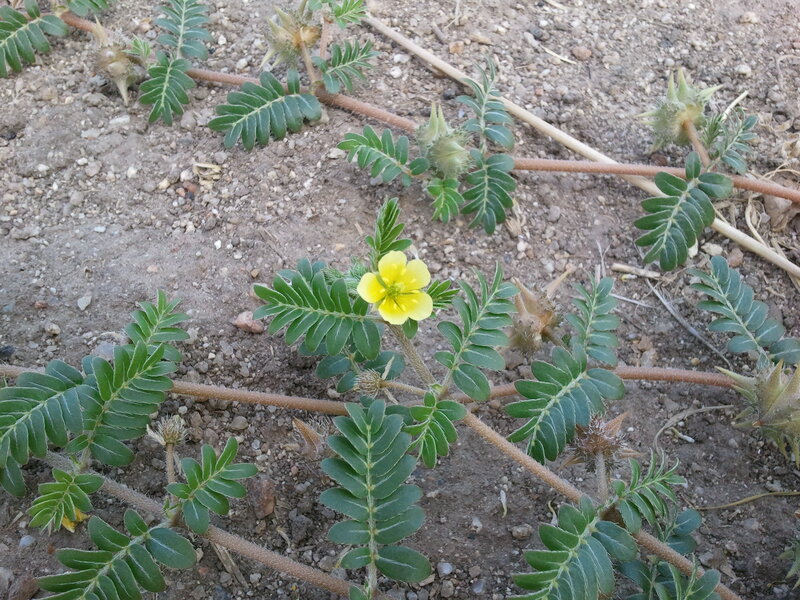 Puncturevine is a fast growing, drought-tolerant plant with a long, slender taproot. It is commonly found in disturbed sites, along roadways and walkways, and in pastures and fields. While I am fascinated by this plant, I also abhor it, and so I make an effort to remove and kill it whenever possible. If it weren’t for the countless flat tires it has caused me, I’d probably be more willing to let it be. Bike enthusiasts who have experienced this nuisance nod in agreement. The threat of ensuing climate change has led many to consider what the future might look like for life on earth. Plant life will undoubtedly be affected, and numerous observations have already been made indicating that plants and plant communities are responding to changing climates. A recent study, published in Ecology and Evolution, documented changes in the lower elevation boundaries and elevation ranges of common plants found on the Santa Catalina Mountains (near Tucson, Arizona). A study of this caliber is rare because there is relatively little data available to observe such changes over a long period of time. The scientists that carried out this study were able to use survey data collected by Robert Whittaker (the father of modern plant ecology) and William Niering in 1963. Whittaker and Niering conducted an extensive survey of plants along the Catalina Highway, which still exists today and runs along the southern slopes of the Santa Catalinas. Following similar data collection methods, researchers from the University of Arizona surveyed plants along the Catalina Highway nearly 50 years after the original survey. What they found confirmed predictions: montane plants in the southwest are responding to a warmer and drier climate by shifting their lower elevation limits upward. The average annual air temperature in this region has increased an average of 0.25 degrees Celsius per decade since 1949. Also, rainfall has decreased significantly since Whittaker and Niering’s original plant survey. Twenty seven of the most common plant species were selected from the new survey and compared to the original survey data. Fifteen of the twenty seven species (56%) have significantly shifted their lower elevation boundaries, moving further up the slopes of the mountains to escape higher temperatures and reduced rainfall. Some of the plant species have also shifted their upper elevation boundaries, with four of them moving further upslope and eight of them moving further downslope. 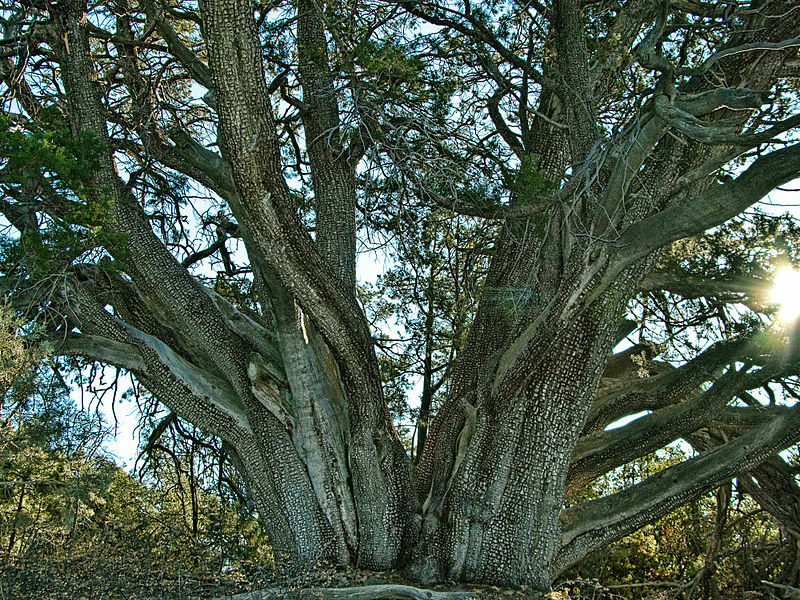 The authors of this study state that “even a casual observer could recognize changes in plant elevation boundaries.” Alligator juniper, bracken fern, beargrass, and sotol are examples of plants in the Catalinas that have noticeably migrated upslope and are no longer found at lower elevations where they were once common. Alligator Juniper (Juniperus deppeana), for one, was once documented growing at least as low as 3500 feet, but now does not occur until after the 5000 feet mark. Read more about this study at the University of Arizona news site.